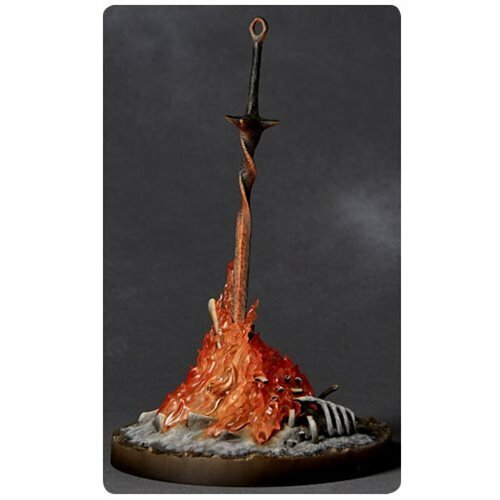 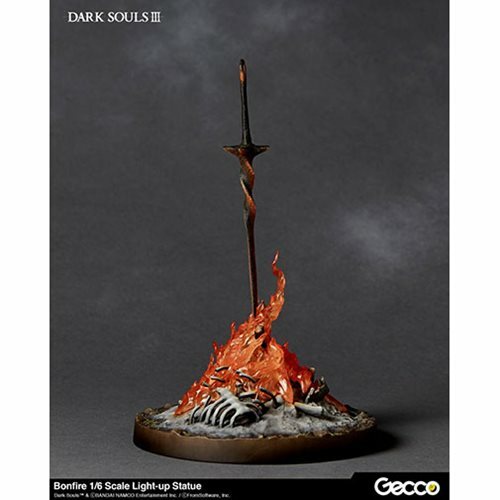 The Bonfire holds many sacred and important meanings in the Dark Souls series, so it's exciting to see this monumental fire represented as this exceptionally detailed 8-inch tall Dark Souls 3 Bonfire 1:6 Scale Light-Up Statue. 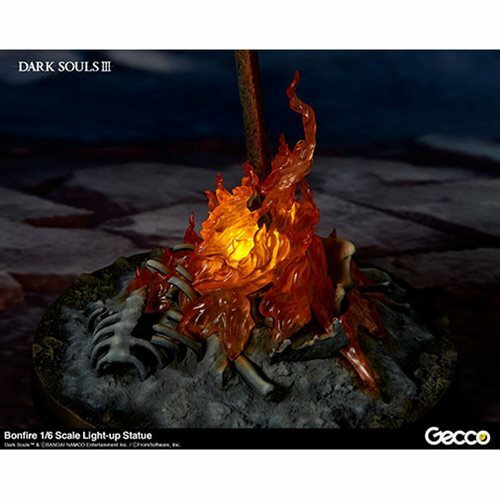 The burnt bones buried in ashes and the coiled sword are traditionally sculpted in clay by Shinya Akao, and the complex surging flame is digitally sculpted by YU-KI. 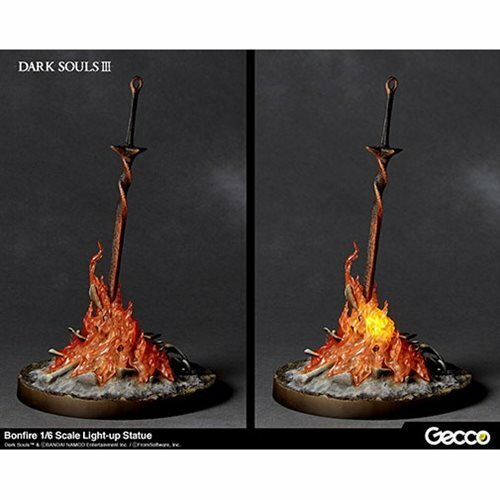 Plus, the flame lights up when the sword is inserted into the earth… just like in the video game! 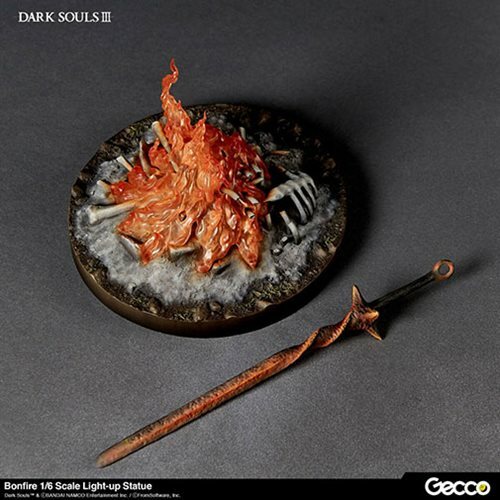 The details really shine from within, lighted by a special flickering LED. 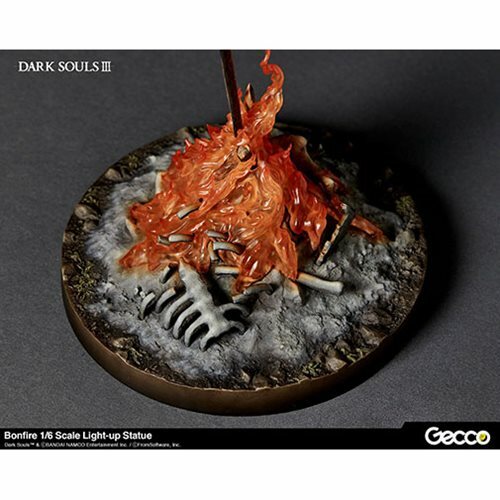 The Dark Souls 3 Bonfire 1:6 Scale Light-Up Statue displays beautifully as a stand-alone piece, but it also creates an impressive display next to the other Dark Souls 1:6 scale statues (sold separately). It's the perfect addition to your statue collection!